There’s no need to be afraid of Bump, no need to run away. He visits from a secret land where monsters play all day. Then lead you on adventures until the night time ends! 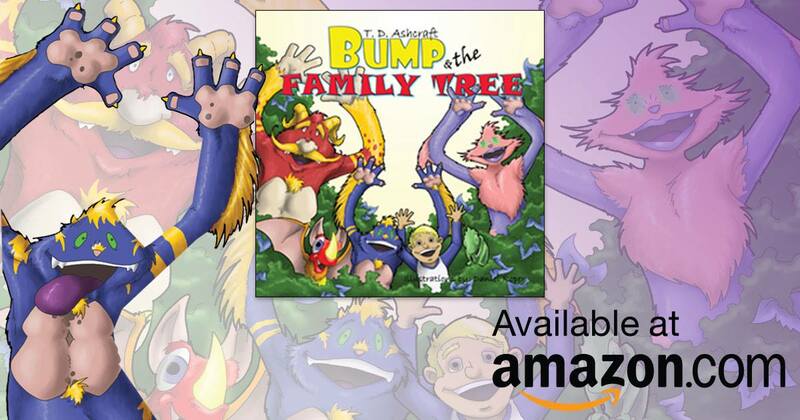 Bump & the Family Tree receives Five-Star Rating from Readers’ Favorite! Are you ready for a MONSTER of an Adventure?